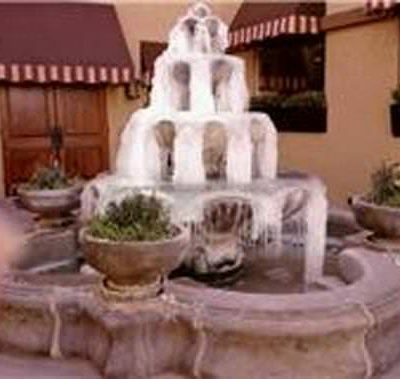 A cold day at the Tucson Gem Show when the fountains froze. Still found lots of beautiful stones for bracelets and necklaces! 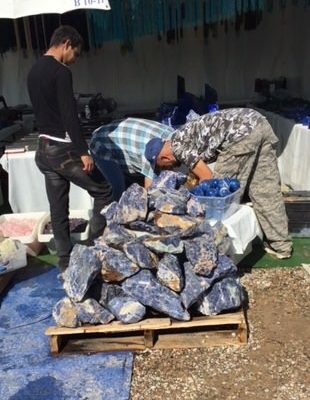 These vendors are from Afghanistan with their beautiful large stones, just amazing! I love to work with Lapis but this is a bit overwhelming! 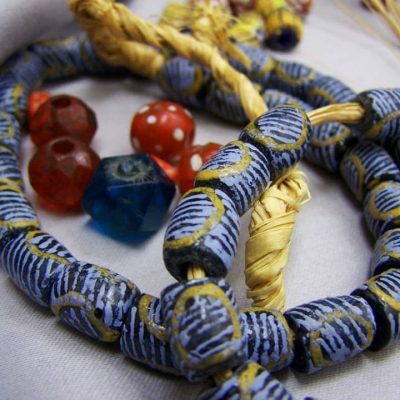 Beautiful Antique African trade beads! 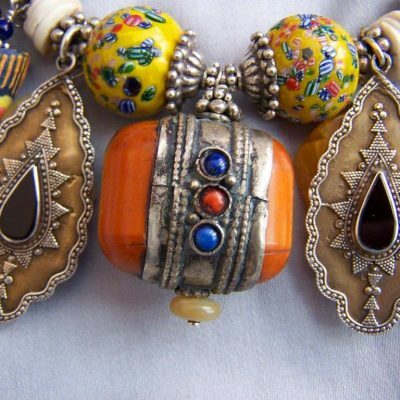 Beautiful Antique African trade beads! These beads and most others like them were initially made in Venice, Italy and shipped to Africa for trade purposes, where they acquired valuable items for trade in Europe. I imagine the Venetians did very well! Later, the Africans managed to make their own, but they are more recent and have less antique value.